Kevin Kucera is among the countless people who suffer aches and pains after they move, lift, push and pull things. However, the day after Kucera moved a heavy display on his own at work, his shoulder was exceptionally sore. Kucera, an customer service representative whose clients include “big box” hardware stores, knew his arm pain was more than just a strain. So, he completed his employer’s necessary injury report paperwork and called Dr. Steven Chudik, an orthopaedic surgeon and sports medicine physician with the Steven Chudik MD Shoulder and Knee Injury Clinic. Dr. Chudik performed surgery on Kucera’s knee several years earlier and non-operatively treated him the previous year for another shoulder work injury. Dr. Chudik ordered a magnetic resonance image (MRI) that showed a possible labral tear in Kucera’s shoulder and recommended surgery to repair the tear. 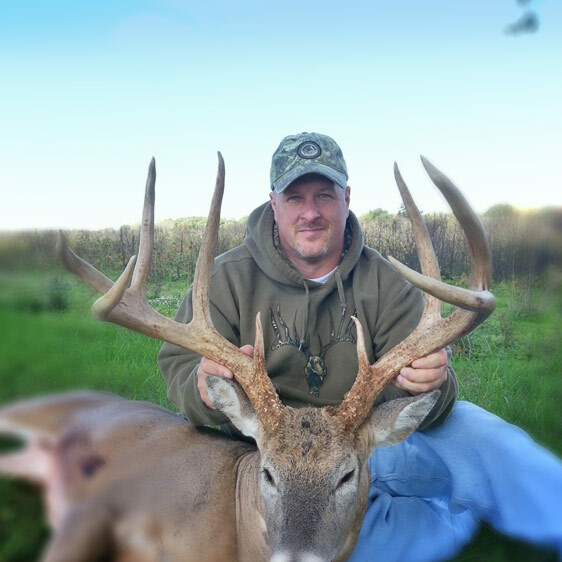 “All I could think about was the need to get the surgery scheduled so I could get back to my job and hopefully bow hunt in the fall,” Kucera said. What Kucera discovered was how complicated the Illinois Workers Compensation approval process could be. “The checks and balances within Workers’ Comp are there for a reason, and I understood that,” Kucera explained. “Thankfully, Dr. Chudik and his staff helped me through the process so I could get my surgery, start physical therapy, return to my job and get my life back to normal as soon as possible,” Kucera added. “At the time of his arthroscopic surgery, Kevin not only had a bicep tear that needed to be reattached, but also needed a distal clavicle resection on his shoulder,” Dr. Chudik said. The last thing a highly recruited high school athlete wants to hear is they are going to miss playing their senior year and potentially lose a Division 1 opportunity because of an injury. That is what Lyons Township (LT) High School football and All American lacrosse standout, Kyle Barrett faced when his left knee began hurting the summer before his senior year of football and throughout an East Coast lacrosse camp for collegiate prospects. According to Barrett, he suffered a number of athletic injuries starting with a broken hand in eighth grade that he broke two more times, as well as incurred hamstring and neck injuries. However, none were potentially as devastating to his athletic goals as the reoccurring knee pain he developed that fateful summer. “I’d been treated by Dr. Chudik for my past injuries so when the knee pain started, I had to have him check it out,” Barrett said. Neither multiple X-rays nor a magnetic resonance image (MRI) of Barrett’s knee provided Dr. Steven Chudik with a definitive diagnostic answer. “They didn’t show anything,” Barrett explained. “And, because the pain only occurred when I made certain movements, the problem wasn’t easily pinpointed,” he added. With no detectable cause for the pain, Dr. Chudik prescribed a conservative physical therapy treatment so Barrett could at least participate in a recruiting camp that summer. “So, there I was at lacrosse camp talking to college coaches about the prospect of playing for their school and all the while I was doing physical therapy for my knee. They had no idea and I certainly didn’t want to jeopardize any chance I had at a scholarship,” Barrett explained. However, Barrett’s hopes for playing football senior year vanished when his knee pain returned during the first game of the season. “I knew then that exploratory surgery with Dr. Chudik was what I needed to determine what was causing the pain, “Barrett said.“I just didn’t want to miss my senior year of football, but had no choice if I wanted to play lacrosse in the spring,” he lamented. “Through the years, I have seen—especially in young athletes—this uncommon occurrence when diagnostics fail to demonstrate the reason for a patient’s pain,” explained Dr. Steven Chudik, board certified orthopaedic surgeon, sports medicine physician and US News & World Report Top Doctor for orthopaedics with the Steven Chudik Shoulder and Knee Sports Injury Clinic, Westmont, Ill. “In Kyle Barrett’s case, arthroscopic exploratory surgery was the only solution. The hardest part was not being able to tell Kyle ahead of time whether he would miss only football or lacrosse, too,” Dr. Chudik explained. For Barrett, the choice was simple. “I needed to fix whatever was causing my pain since I’d been recruited by Syracuse University for lacrosse at that point. So, I sat out the remainder of the football season and had the surgery,” Barrett said. “Fortunately for me, Dr. Chudik treated my knee with a special arthroscopic surgical procedure. It allowed me to recover quickly so I didn’t miss out on an undefeated lacrosse season and spot on the Division I Syracuse lacrosse team,” the LT high school All American reminisced. 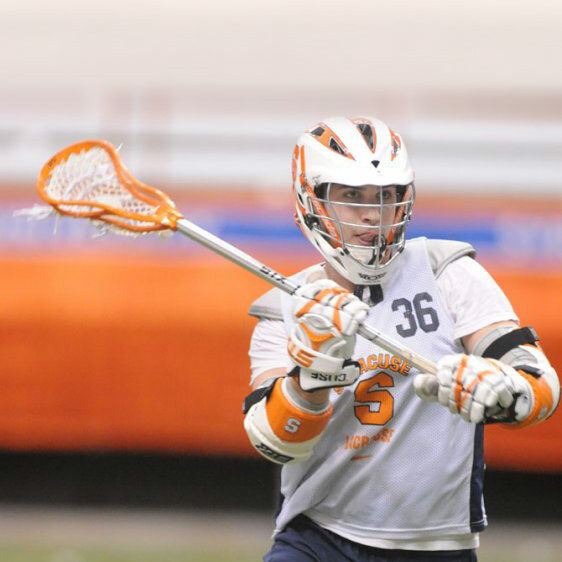 During his first year as a lacrosse Orangeman, Barrett helped his team win a national championship. 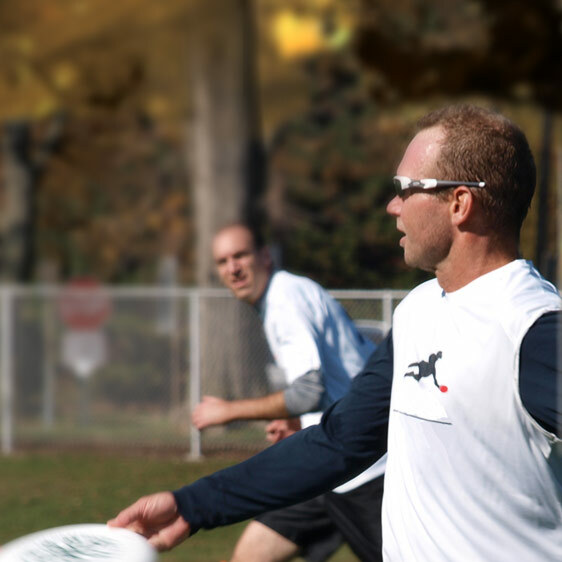 Today, the Industrial Services Associate with NAI Hiffman stays active with pick-up lacrosse games, running, biking and his newest sport—rock climbing. Teaching your children to snowboard should be a fun and rewarding experience, or so Nick Nagel thought until he found himself planted face down in a snow bank with a shoulder injury. However, it would be a year later with many league hockey games in the record books, as well as elbow surgery, before Nagel would have his shoulder repaired by Dr. Steven C. Chudik, orthopaedic surgeon and sports medicine physician with the Steven Chudik Shoulder and Knee Injury Clinic in Westmont, Illinois. “After my snowboarding fall my shoulder hurt from time to time, but it really didn’t bother me very much,” explained Nagel. 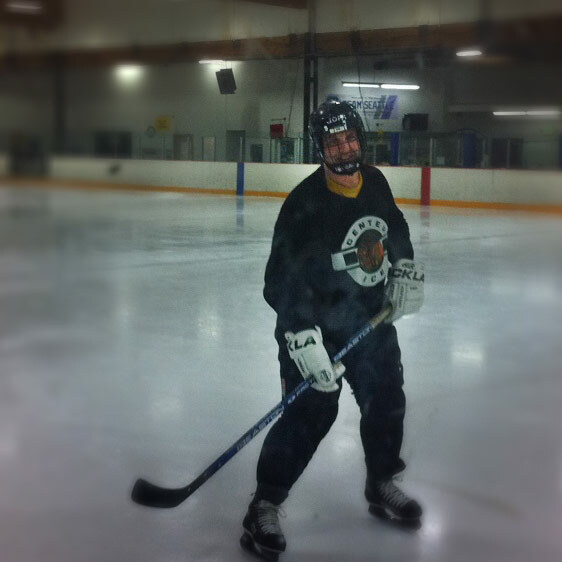 “I worked in an office and the hockey league had a no check rule, so I rarely had any pain,” he said. With only an occasional twinge in his shoulder, Nagel continued his daily activities for six months—including working out and lifting weights. “In August 2010, I was in the gym curling weights with my arms resting on a bench—not a lot of weight—and I felt, saw and heard the biceps tendon in my left elbow detach,” Nagel explained. “Immediately I experienced a very sharp and intense pain, but then it subsided. So I went home, showered and drove to work, but stopped at a convenient care center on my way home.” According to Nagel, the convenient care physician assistant (PA) diagnosed the problem as a ruptured bicep tendon and instructed him to see an orthopaedic physician because he needed surgery. During his last follow-up appointment, Dr. Chudik asked Nagel about his elbow. “I told him my elbow was great, good as new, but my shoulder was really starting to bother me. Dr. Chudik prescribed physical therapy as a first step,” Nagel explained. Because of work travel commitments, Nagel was not able to fit physical therapy into his schedule. He also took a new job requiring him to relocate from Downers Grove, Ill., to Seattle. “By that point I was in a lot of pain and I wanted to find out what was going on before I moved, so I scheduled another appointment with Dr. Chudik,” Nagel said. “An MRI showed a torn rotator cuff in my left shoulder that required surgery to repair the damage. But, the question was when because of my move,” he explained. Fortunately for Nagel, his move date was delayed which gave him time for Dr. Chudik to perform arthroscopic rotator cuff repair surgery before he relocated. “Dr. Chudik referred me to an orthopaedic physician in Seattle to take over my post surgery care and rehabilitation. The new surgeon was amazed at my recovery and told me that most patients aren’t this far along so soon after rotator repair surgery,” Nagel said. “I guess I recover well. Within days after my surgery, I had little pain and didn’t need to take anything except at night. Even my physical therapist was impressed with my recovery. I had most of the range of motion in my shoulder just six weeks after my surgery,” he added. As for his plans about playing ice hockey? According to Nagel, he resumed participation in a men’s league even scoring several goals, but he probably will forego snowboarding. With barely 5 minutes remaining in the Illinois Class 8A state championship final, the No. 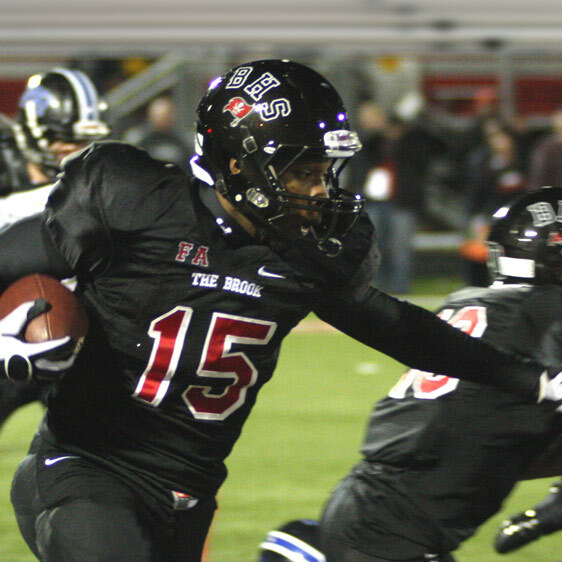 2-rated Bolingbrook High School Raiders trailed the No. 1-rated Loyola Academy Ramblers from Wilmette, 17-14. Junior Bolingbrook quarterback Aaron Bailey was in the toughest game of his life, but one he and his teammates will remember the rest of their lives. Determined not to let their 13-1 season end with a title loss, the 6-foot-2, 215-pound Bailey broke through Loyola’s defense bolting 33-yards for the winning touchdown and the first state title in the school’s history. Little did any of the rain-soaked fans know that Bailey had arthroscopic knee surgery by Dr. Steven Chudik, orthopaedic surgeon and sports medicine physician with the Steven Chudik Shoulder and Knee Injury Clinic that enabled Bailey to play that memorable game and season. I actually injured my knee during a baseball game when an opponent slid into my knee,” Bailey said. “I had X-rays, but they didn’t show anything conclusive. Dr. Chudik ordered additional X-rays because he wanted to see my knee from other angles. Unfortunately, they didn’t show anything either so I had to have an MRI,” Bailey explained. According to Dr. Chudik, Bailey’s MRI revealed deep bruises on his knee, but no obvious ligament or meniscus damage. “I recommended a conservative approach to start—limiting activities to prevent pain and physical therapy followed by a gradual return to activity,” said Dr. Chudik. “After a few weeks and not much improvement, I knew something more was wrong and recommended a diagnostic injection. Because Aaron got almost immediate relief, but only temporary, I knew the pain was coming from inside the joint so I recommended arthroscopic surgery to determine the actual cause of the pain,” Dr. Chudik explained. “The outpatient surgery only took about 30-minutes and it provided the answers the X-rays and MRI couldn’t,” Bailey said. “Dr. Chudik removed part of my medial plica which he told me is typically a normal tissue in my knee. Sometimes with an injury, the plica scars and thickens and can cause a lot of pain and problems. That’s what happened to me,” he added. Following the knee surgery, some might think the Raiders QB might be cautious or overly protective to prevent re-injury, but it never entered his thoughts since returning to the gridiron. “If I worry about getting hurt, I will. I just go out and play and give it my all,” Bailey said. “I’m good to go and haven’t had any problems thanks to Dr. Chudik. One minute 8-year-old Matt Cesario was sitting atop a swing set with a neighbor and the next he was hanging from the side support brace by his right knee—a twist of fate that spared Matt’s spine and changed the course of his young life for the next five years. Matt can’t recall much from the accident, but his mother, Debbie Cesario, remembers it as if it happened yesterday. “We were at the neighbor’s for dinner where Matt was playing. I heard Matt scream when he fell, but by the time I got to him he’d already unhooked his leg and dropped to the ground,” Debbie explained. “I was relieved to see he was conscious, able to stand and “run off” to continue playing,” she said. However, her relief was short lived. “At 4 a.m. Matt was in horrible pain and couldn’t bend his knee,” Debbie said. Matt does remember that morning and the ER doctor telling him “it was sprained, to put ice on it and take it easy for a couple of weeks.” According to Matt, now age 13, the next two weeks were anything but easy. “My knee got hit or pulled two different times,” he lamented. “After the second hit, my knee really hurt so I knew something was wrong,” Matt said. Fortunately, a neighbor knew Dr. Steven Chudik from her work at Hinsdale Hospital and recommended Matt see him. “With ACL surgery, the torn ligament is replaced with a tendon graft,” explained Dr. Steven Chudik. “In a child, though, current surgery techniques risk damage to their growth plates which can result in deformity and uneven leg growth,” he said. “For that reason, many surgeons will not operate. 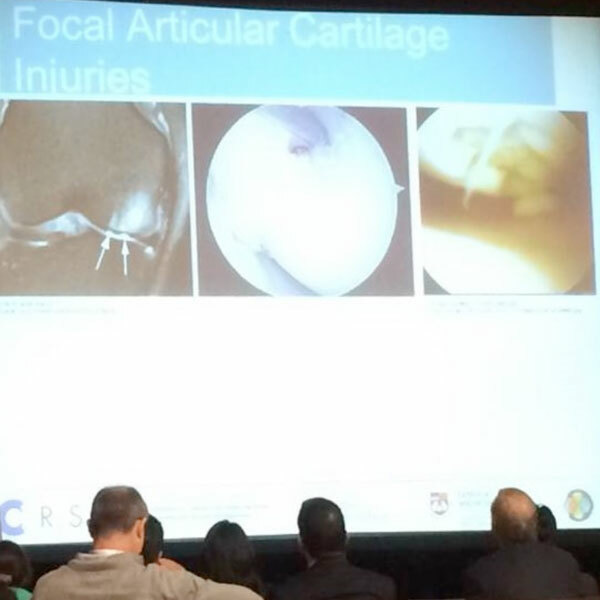 However, I developed an arthroscopic technique that replaces the ligament while completely avoiding the growth plates,” Dr. Chudik explained. “Matt was one of my first patients to have this procedure. Following the arthroscopic ACL surgery, one week in a cast and five months of physical therapy, Matt returned to playing baseball as a catcher, bowling, hunting and being one of the fastest runners in his school. However, Matt is most proud of his newest athletic endeavor—extreme mixed martial arts—that he started in 2010. 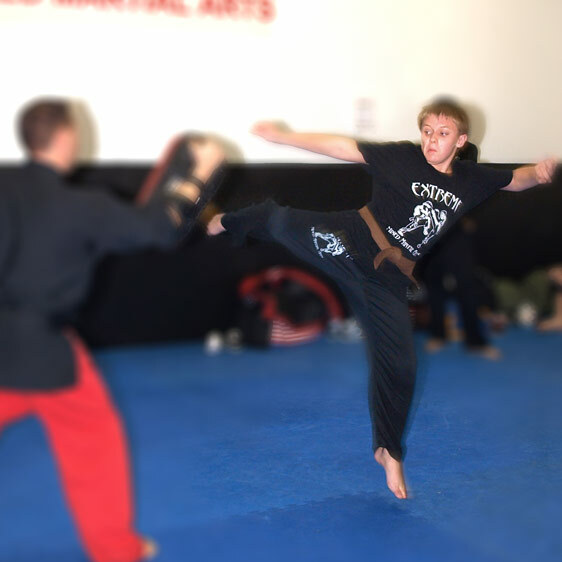 “The classes include kick boxing, boxing, martial arts, street jiujutsu and street defense,” Matt explained. “The boxing class is adult level so I’m the youngest one there,” he added. According to his mother, Matt’s involvement in the extreme sports makes him more flexible and works his entire body—especially his legs. “Had anyone asked me five years ago when Matt first got injured if he’d be able to do anything like this, I would have said no,” Debbie said. “I was worried if Matt would even be able to slide in baseball. We owe a lot to Dr. Chudik and the arthroscopic ACL surgical technique he developed for children.” Matt agrees as he displays the one-inch thick wood boards he broke with his bare foot and the brown/black belt he recently earned. Robert Nutt says he is retired, but his daily planner paints another picture. As president and managing director of Paceline Advisors, a strategic business and financial consulting firm Nutt created after 30 years in corporate finance and operations, he travels constantly and volunteers for three organizations and businesses. His hectic schedule does not leave much time for relaxation, let alone skiing, bicycling and running marathons. In fact, a bicycling accident during a training ride in Scottsdale, Arizona, almost ended Nutt’s ability to participate in any recreational activities. According to Nutt, he was about 40 miles from the start when another rider accidently clipped his back tire causing him to fall. “It happened so quickly I was on the ground before I knew what happened and my left knee took the brunt of my fall,” Nutt explained. Unable to finish the ride, he was taken to the emergency room where doctors gave him the bad news. “I tore my medial collateral and posterior cruciate and anterior cruciate ligaments (MCL, PCL, ACL), as well as my meniscus,” he said. “They put a brace on my knee to stabilize it and I flew home to Darien, Illinois, uncertain if I’d ever be able to race again, let alone be able to ride a bike,” Nutt said. To allow his knee swelling to subside, Nutt started a conservative physical therapy under the care of an orthopaedic surgeon at Hinsdale Orthopaedics in Hinsdale, Illinois, before being referred to the practice’s arthroscopic shoulder and knee specialist and a US News & World Report Top Doctor in orthopaedics, Dr. Steven Chudik. 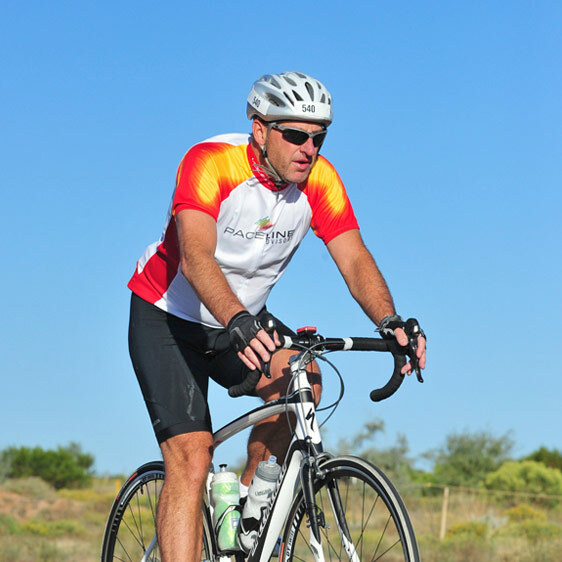 “As a Type A personality, I’m not one to sit so I wanted to proceed with surgery as soon as Dr. Chudik explained that was the only solution for me to have even a chance of running or biking again,” Nutt said. “I learned later that Dr. Chudik told my wife after my surgery he’d be surprised if I’d ever be able to run more than 10 miles at one time because of the extensive damage he repaired during my five hour operation. She told him not to tell me that and I’m glad neither did,” Nutt laughed. “Robert tore nearly every ligament in his knee,” Dr. Chudik explained. “It was a terrible injury. His recovery is a testament to his determination and commitment to completing his rehabilitation program and returning to his active lifestyle,” he added. Following five weeks in a brace, six months of physical therapy three times per week and home exercises every day, Dr. Chudik cleared Nutt to resume his activities limiting his bike riding to just one to two miles per day to start. According to Nutt, that did not last long. “I regularly ride a couple hundred miles a week, and was anxious to get back to running and biking. My come back goal was the Mercedes Benz Marathon in Alabama and to participate in RAGBRAI (Register’s Annual Great Bike Ride Across Iowa),” he said. RAGBRAI is the longest, largest and oldest annual bicycle-touring event started in 1973 as a friendly challenge between two Des Moines Register newspaper employees. According to the Register’s event information, the annual, seven-day ride averages nearly 500 miles beginning with a traditional dipping of riders’ back tires in the Missouri River and ending with the dunking of their front tires in the Mississippi River. Today, Nutt annually competes in several marathons a year, RAGBRAI and downhill skis without hesitation or reservation. “I’m very grateful to Dr. Chudik for giving me back my active lifestyle. I can’t imagine what I’d be doing if it were not for him,” Nutt said. Fortunately, a teammate’s father was an orthopaedic surgeon and referred Bastic to Dr. Steven Chudik, an orthopaedic surgeon and sports medicine physician with the Steven Chudik Shoulder and Knee Injury Clinic who specializes in shoulder and knee arthroscopic surgery. Upon examining Bastic’s shoulder, Dr. Chudik ordered a 3-D CT scan that confirmed what he suspected—a damaged shoulder socket (glenoid) that previous surgeries didn’t correct. “Shawn’s prior surgeries failed because the surgeons missed the injury to the shoulder socket,” Dr. Chudik said. “The socket is like a golf tee and if part of it is missing, it can’t hold the golf ball in place,” he explained. In the case of a glenoid, the broken portion is absorbed so bone has to be taken from another part of the body to rebuild the socket. According to Dr. Chudik, this seldom-performed surgery is done in America through an open incision and requires cutting the rotator cuff and dislocating the shoulder. Fortunately for Bastic, Dr. Chudik developed a procedure and surgical instruments to reconstruct the glenoid arthroscopically and he was the first in the country to undergo the procedure. “Since Shawn’s surgery, I’ve done many more all with great outcomes like his,” Dr. Chudik said. Although no longer playing rugby, Bastic remains active in the sport refereeing games in Chicago and the Midwest. 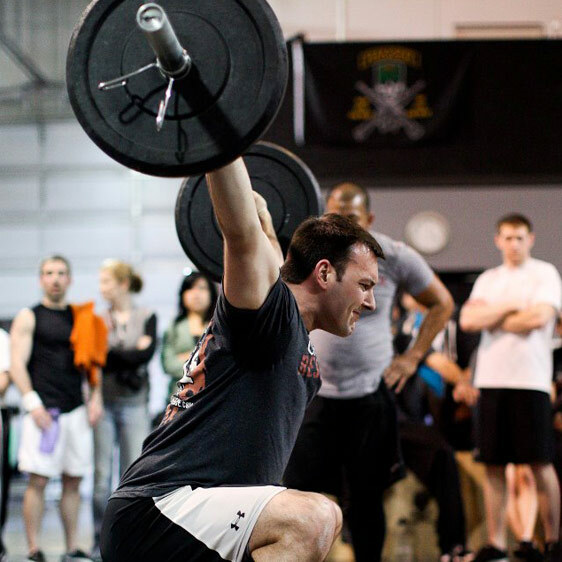 He also competed in a Half Iron Man race and several Crossfit challenges that included weight lifting and rowing. “I’m doing things now I couldn’t before my surgery with Dr. Chudik,” Bastic explained. I have my active lifestyle back and I’m looking forward to being able to play with my daughter as she grows up. Maybe even teach her how to play rugby,” he joked. Most people in Northern Illinois will remember the winter of 2011 for the Ground Hog Day blizzard. Tony Santi, founder and president of J2 Santi, Inc. custom homebuilding, youth athletic coach and weekend athlete from Western Springs, Ill., recalls it differently. In January that year, Santi slipped on his icy sidewalk. “I reached back to brace myself with my free hand and the next thing I knew I was on the ground. I thought I had broken my arm, but I dislocated my right shoulder,” explained Santi. “So, I crawled back into the house and called Dr. Steven Chudik.” Dr. Chudik, an orthopaedic surgeon and sports medicine physician with the Steven Chudik Shoulder and Knee Injury Clinic in Westmont, Ill., reduced Santi’s shoulder and recommended he schedule a follow-up clinic appointment. According to Santi, his shoulder problem actually began 20 years earlier when he partially tore his rotator cuff while playing basketball. Because the injury did not adversely slow him down, Santi delayed treatment and only had physical therapy for his injury. “I knew my arm was weak when I worked out, but I was able to do everything I needed. I didn’t see the need for surgery,” Santi said. With his new injury, Santi opted to try physical therapy first. “Retrospectively, I should have done something sooner,” he added. “After reviewing Tony Santi’s MRI, I recommended surgery because in terms of injury severity, his was the worst possible. It involved all four rotator cuff tendons and his biceps tendon,” said Dr. Chudik. “Typically an injury of that magnitude is considered irreparable, but because he was so young I had to try and repair what I could. His prognosis for returning to an active lifestyle, let alone throwing and shooting activities, was poor,” he explained. Imagine slamming into a tree going more than 20 miles per hour with only the protection of a helmet. Imagine that same scenario, but as a petite downhill skier getting hit so hard by a snowboarder that you are lifted off the snow and thrust into a pine tree becoming a human airbag. According to avid downhill skier Mary Falck, that happened to her while vacationing in Colorado. Understandably, Falck does not remember much about the accident, but the severe injuries that resulted—a fractured pelvis, femur, wrist and ankle, as well as multiple torn knee ligaments—would become her biggest challenge. “I just completed a more rigorous ski run where I achieved the million vertical feet mark for the year,” Falck explained. “To celebrate and unwind, my husband and I decided to take another run, but on a less difficult slope. That decision changed the next two years of my life and potentially the rest of my life,” she said. After the Ski Patrol stabilized Falck, they helicoptered her to Denver where she underwent emergency surgery. “I was in intensive care for several days before moving to in-patient rehabilitation where I stayed for three weeks until I was able to travel,” she lamented. Falck explained her recovery process was incredibly difficult and long. The fractures on the right side of her body healed slowly with her ankle taking the longest. However, her unrepaired left knee made her unstable and physical therapy nearly impossible. 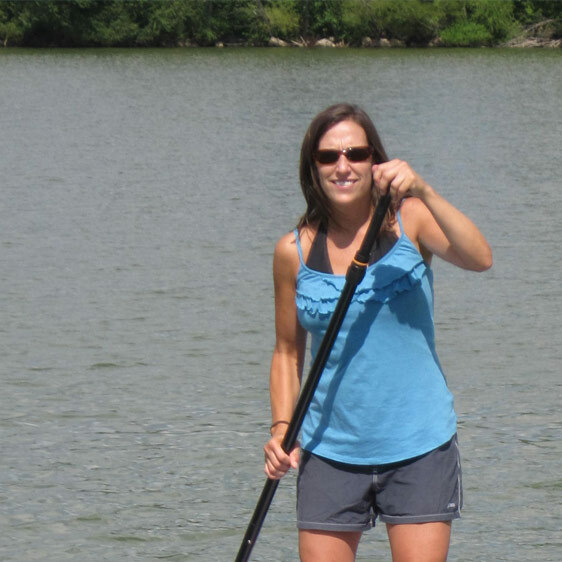 “I was so frustrated by that point my husband contacted the orthopaedic surgeon he’d seen at Hinsdale Orthopaedics,” she said. “He referred her to his partner, Dr. Steven Chudik.” Previous doctors Falck saw told her a total knee replacement was her only option because her knee was in such bad condition. She was hopeful Dr. Chudik would tell her something different. According to Dr. Chudik, a board certified and fellowship trained orthopaedic surgeon and sports medicine physician, Falck’s injuries were so severe he could not put her through knee surgery and more rehabilitation until she was healed and able to walk. “Quite honestly, I didn’t think she would be able to have a successful outcome until her injuries healed,” he explained. “So despite her strong objections and repeated protests, I told her I would not operate until she was in a better overall functional condition. It is important to me to treat each patient individually and not necessarily ‘by the book’ because everyone has different functional and lifestyle goals,” Dr. Chudik added. For the next six months, Falck never missed a physical therapy session determined to get her right side fully rehabilitated. However, her injured left knee hindered her in therapy and caused her extreme frustration. “My knee buckled during a therapy session and by then I’d had enough,” she said. “I made another appointment to see Dr. Chudik. We discussed my options and injuries—torn ACL, PCL, and PLC (anterior and posterior cruciate ligaments, and posterior lateral corner ligaments), severe cartilage damage and arthritis of the knee. “Despite the extent of the damage, I refused to accept that I could not regain my previous life style,” she explained. 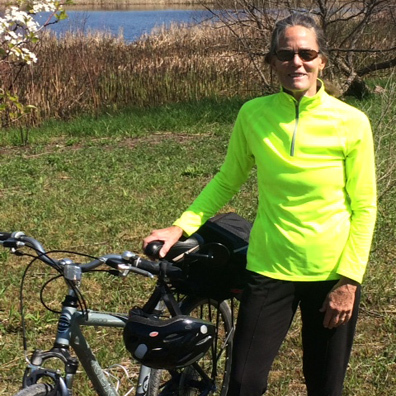 “Given the severity of her injuries, a total knee replacement was the only reliable option. But, that wouldn’t guarantee she’d be able to return to her previous level of skiing,” Dr. Chudik said. “Conversely, ligament reconstruction with her severe cartilage damage and arthritis would likely produce permanent loss of motion, weakness and inability to ski,” he explained. an anatomic, multiple knee ligament reconstruction and coached her through the difficult rehabilitation. “Dr. Chudik warned me it would be a long recovery,” Falck said. “But I did it! Two years after her accident, Falck resumed the active life she loves–even skiing.